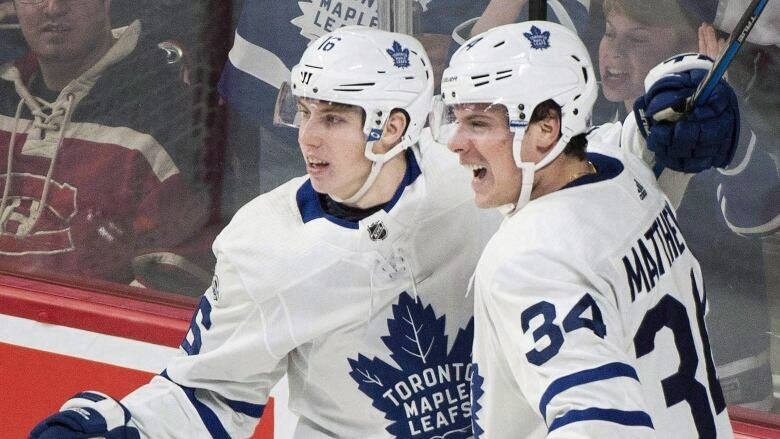 Toronto Maple Leafs forwards Auston Matthews and Mitchell Marner are trading in their jerseys for doll costumes in The Nutcracker. The two are among the Canadian celebrities set to make cameos as Cannon Dolls in the National Ballet of Canada's production this holiday season. Toronto Maple Leafs forwards Auston Matthews and Mitchell Marner are trading in their jerseys for doll costumes in The Nutcracker. The two are among the Canadian celebrities set to make cameos as Cannon Dolls in the National Ballet of Canada's production this holiday season. Other notable personalities making guest roles as Cannon Dolls this year include Come From Away co-writers Irene Sankoff and David Hein.